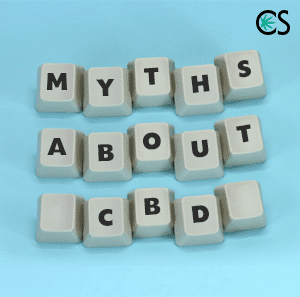 In this video and post, I discuss some common myths and misconceptions about CBD. This video was inspired by a paper by Dr. Ethan Russo, which I include in the references below. 1. CBD is not psychoactive. While CBD is not intoxicating, to say it is non-psychoactive is a bit of a mischaracterization of CBD. CBD can have an effect on the user’s mental state. This is why CBD has been found to be so useful for anxiety, depression, and mental illness. It is more accurate to say that CBD is non-intoxicating instead of non-psychoactive. While some people might find CBD to be sedating, for others, even in high doses, CBD has shown to be alerting or not sedating. The sedating effect of some CBD products can be attributed to sedating terpenes like myrcene contained in products which are in full plant or whole plant extracts. 3. CBD is a CB1 inverse agonist like Rimonabant. Rimonabant is a synthetic cannabinoid inverse agonist which was used to treat obesity and metabolic syndrome in Europe. Rimonabant was quickly removed from the market because of serious side effects including anxiety, suicidal ideation, and nausea. CBD on the other hand, does not act as an inverse agonist on the CB1 receptor and thus does not cause the same nasty side effects as Rimonabant. Rather, CBD works as an antagonist at the CB1 receptor. This is partially how CBD can dampen some of the unwanted effects of THC. Check out: How does CBD work? 4. CBD is legal in all 50 states. The legal status of CBD still remains a gray issue. While most lawyers working in the cannabis space will say CBD from hemp is legal so long as it is sourced from a compliant Farm Bill state, clarity still needs to be established on the legal status of CBD. This is especially true on the federal level. 5. CBD turns into THC in the body. This misconception came from a study which showed that this conversion was possible under certain experimental circumstances. However there is no evidence that this conversion happens in the human body when a person takes CBD. 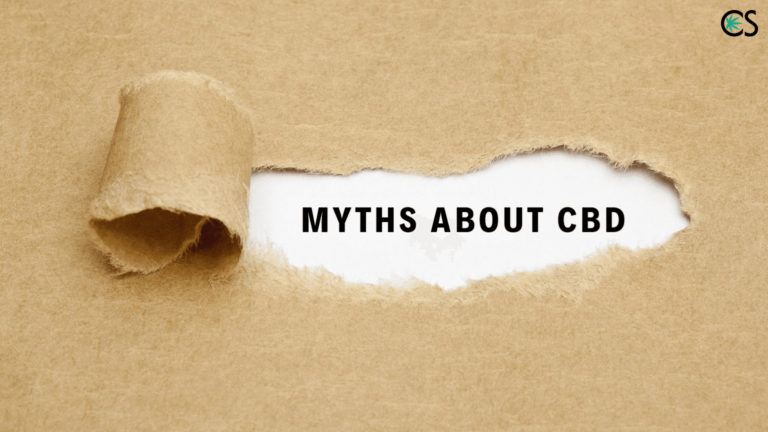 know 5 most talked myths about CBD. Explore your knowledge about it and know more about it. First welcome for your background and explications. I m epileptic since i m 16 years old, i m 31 now. I ve been trying CBD for 1 month, 3 doses daily (75 mg each). Unfortunately i m more tired and sleepy than my pills but less seizures. No indications about terpenes, it s an organic and quality oil. Do you know any oil whith terpenes which energize ? Sorry for my poor level in English XD i m from France ^^. Can you use CBD oil if you take the blood thinner eliquis? What doseage should I take and how often? Hello. Thanks for your question. I cannot answer medical questions. I recommend speaking to your doctor before you start using CBD. I enjoyed the video. I have a few questions. I had a car accident 6 years ago and I’m still in pain. For pain management my doc has me taking 50 mg of tramadol 2x per day and 300 mg of gabapentin at night. I also take low dose ambien for sleep. I take .5 mg of klonopin for anxiety 2x per day. I take one over the counter alleve with dinner. I’d like to reduce some of these pills and take cbd oil instead. Whatvis the best way to go about starting cbd oil and reducing pill intake. Which pills can I decrease first as I increase use of cbd oil. Hello Lorraine. Thanks for your comment. Sorry to hear about the pain. We are not able to answer any medical questions. Please speak to your doctor before making any changes with your medications. Hello this is great CBD great for so many of my needs EPILEPSY PTSD BIPOLAR STAGE 4 CANCER. I have been told I have to do THC also or CBD doesn’t work. Yes use THC for relaxing. But need the CBD more to kill the cancer again. 0. Took year off 6.4 nothing I can’t get back down.